Exciting Melbourne based singer-songwriter Kaisha occupies a unique corner of the Australian music scene, merging intensely rhythmic middle-eastern rock with lyrical sensitivity, straight from the ancient soul of her Armenian-Australian background. Always deep, and fearlessly honest, Kaisha shares her gift of “transformation through truth” taking audiences through forgotten places in our collective memory; where broken hearts cry and ancient soundscapes are alive with percussive, shamanic, shimmering wisdom. 2009 and 2010 saw Kaisha win two NCEIA awards; one for the awesomely rhythmic gem “Into This” in the Best Rock/Alternative category, and the second in the Best Electronic category with “Sensitive Soul.” Awards continued in 2010 with “Danger” a wrenching tune about the pain of domestic violence winning the Darebin Music Feast’s ‘Above Love’ Competition. With the December release of her EP “The End of the Divide: Chapter 2”, 2012 spells the end of a productive year for Kaisha, having self-produced, engineered and mixed this release under her own production company SnakeEye Productions, all the while writing and performing all tracks and instrumentation, except for the violin. 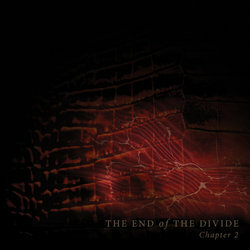 Plans for 2013 include taking “The End of the Divide” on the road and heading back into the studio for a follow up release. Forgive Me Mother Part 2 is a sparse and poetic track, snaking a path through lost soundscapes in search of peace. Self-realisation of truth is found, and a confession is given to the ancient mother earth for the way she has been treated.